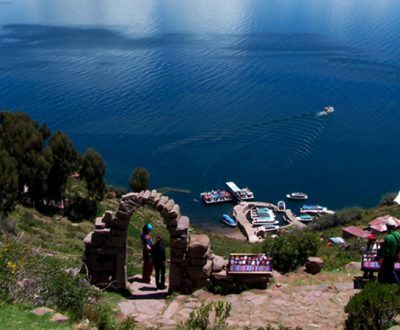 Puno is one of Peru´s very attractive destinations, as it is located on the Collao High Plateau, at 3,800 meters (12,467 feet) above sea level, on the shores of the world´s highest navigable lake; the Titicaca which is the obligatory border passage for visitors who travel by land, from Cusco to La Paz, between Peru and Bolivia. 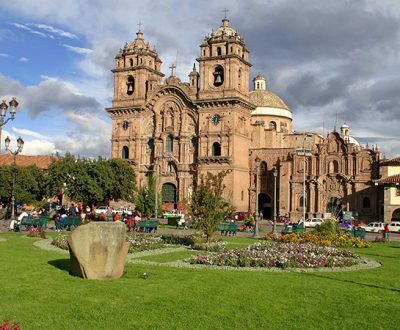 It was founded, in 1668, by Vice-Roy Conde de Lemos, with the name of “Villa Rica de San Carlos” (Saint Charles´ Rich Town), and is known as Peru´s Folklore Capital City, as it possesses a vast diversity of very interesting music, dances, customs and legends, like that of the Incan Empire´s foundation by Manco Cápac; the First Inca, and Mama Ocllo; his wife, who were sent by their Father Inti; the Sun God, to emerge from Lake Titicaca, with the mission of founding a new civilization that would later on become the powerful Incan Empire of the Tahuantinsuyu. Among Puno´s artistic and cultural expressions, through dances and costumes, there are over 300 that are registered, out of the 1,500 or so that exist on a national level, as autochthonous dances that reach their utmost manifestation, during Carnival festivities, as well as in the course of the Candle Mass Virgin´s festivities, in the month of February. 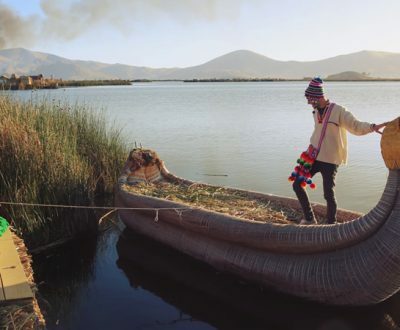 Between 800 and 1200 a.D., the Tiahuanaco Culture developed in the region around Puno and Lake Titicaca, as the Aymara people´s maximum expression of its civilization, the influence of which almost reached the whole territory of ancient Peru, especially in what refers to its religious cult. They developed architecture, lithic sculpture, ceramics and textile works, and left, in all of their pieces, a rich religious iconography that still remains incomprehensible, up to this day. As the Tiahuanaco Culture´s power declined, diverse local cultures appeared on its ancient territories, such as the Collas (Colias) and Aymaras, for example, who stood-out and imposed themselves onto the others. 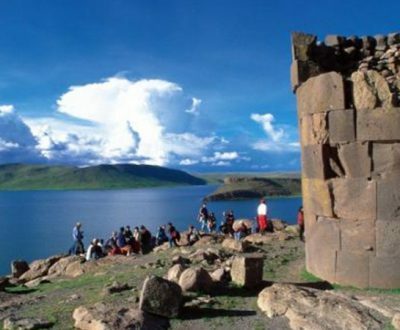 Then, in the 15th century, the Incas invaded the Collao High Plateau, and submitted the Colla ethnic groups. Then, the Lupaca, Pacaje and Azángaro populations opted for becoming allied to the Incas, and established reciprocity relationships with Cusco´s Rulers.